Dr. Kim received his MS in Industrial and Systems Engineering from the University of Wisconsin-Madison and PhD in Ergonomics and Biomechanics from the University of Washington. 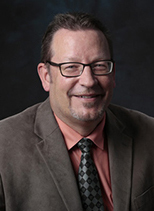 Before joining the OSU’s faculty in 2015, he was an assistant professor at the Northern Illinois University from 2013-2015 and a research scientist at the University of Washington from 2012-2013. His major research interests are occupational ergonomics and biomechanics. He is particularly interested in developing and evaluating evidence-based interventions to reduce physical exposures to reduce occupational injuries and illness and therefore improve workers' health and well-being. He is currently studying how the reduced exposure to whole-body vibration (WBV) affect the musculoskeletal health outcomes and disability. He is also interested in optimizing the human's interaction with touch screen mobile devices. Kiana is currently a doctoral student at the Industrial Engineering Department and pursuing Statistics as minor. She is interested in topics related to usability testing, occupational safety and human-computer interaction. She is currently working on projects related to whole body vibration, computer-human interactions and occupational safety of health care workers. She enjoys hiking, listening to music and sketching in her free time. Stevie recently moved to Corvallis from New Orleans, Louisiana. She has a B.S. in Environmental Biology from Tulane University and is currently a first year in the Master of Public Health Program with a concentration in Environmental and Occupational Health. She is exploring multiple areas of research in public health, focusing on both occupational hazards and toxins in the environment affecting human and ecosystem health. In her free time, she enjoys exploring the Pacific Northwest hiking trails and food scene. Stevie joined the OEB lab in April 2018. Ashley is currently a freshman at OSU studying Public Health with a concentration on Health Promotion and Behavior. She is presently exploring research and different facets of health, including human factors psychology and nursing. She enjoys relaxing in her free time by watercolor painting and hand-lettering, spending time outdoors, and cooking. Ashley joined the OEB lab in November 2016 through the Undergraduate Research Award Program. James is currently working towards a second bachelor’s degree in Computer Science. His interest in biomechanics and occupational ergonomics come from an early liking for exercise and fitness. He is presently exploring vibrational analysis tools and augmented reality applications in the OEB lab. James enjoys BBQ, swimming, reading, and installing free and open-source software in his free time. James has a degree in Mechanical Engineering from Oregon State University and joined the OEB lab in July 2017. Chris was a former undergraduate student researcher in OEB lab while he studied Kinesiology and Psychology. He is now in the nursing program at Linfield College in Portland, OR. Jonathan was a former undergraduate student researcher in OEB lab while pursuing a Kinesiology Major with an Option in Pre-Med. His goals for the future include attending medical school where he can appreciate a deeper understanding and knowledge of the human body. Dr. Hwang is an assistant professor in industrial and systems engineering department at Northern Illinois University. He received a Ph.D. in Industrial and Systems Engineering from the Ohio State University in 2016. His research aim is to improve the health and wellness of workers by exploring the risk of work injuries and efficacy of ergonomic interventions. His research area includes the biomechanics and neuro-ergonomics. His current research interests are the efficacy of patient transfer interventions on the musculoskeletal health among caregivers/patients, and neuromuscular benefit of the new technology in office environment. Dr. Johnson is a Professor in the Occupational and Environmental Exposure Sciences program, specializing in ergonomics. He earned his Doctorate in Bioengineering from the University of California - Berkeley and has worked as a researcher at the National Institutes of Occupational Health in the United States, Sweden and Denmark. Dr. Johnson and his lab are nationally and internationally recognized for their work evaluating seating alternatives to reduce vehicle operator exposures to Whole Body Vibration (WBV). Currently, his lab is conducting studies to evaluate ways to reduce WBV in the semi-truck, bus and mining industries. Dr. Srinivasan is an Assistant Professor in the Department of Industrial and Systems Engineering at Virginia Tech. She serves as Co-Director of the Occupational Biomechanics and Ergonomics Laboratories, and as a Core Faculty member in the Occupational Safety and Health Research Center. She has a PhD in Biomedical Engineering from the University of Michigan Ann Arbor, and her research interests broadly span the areas of Motor Control, Human Performance, Occupational Biomechanics, Physical Activity and Human Factors.